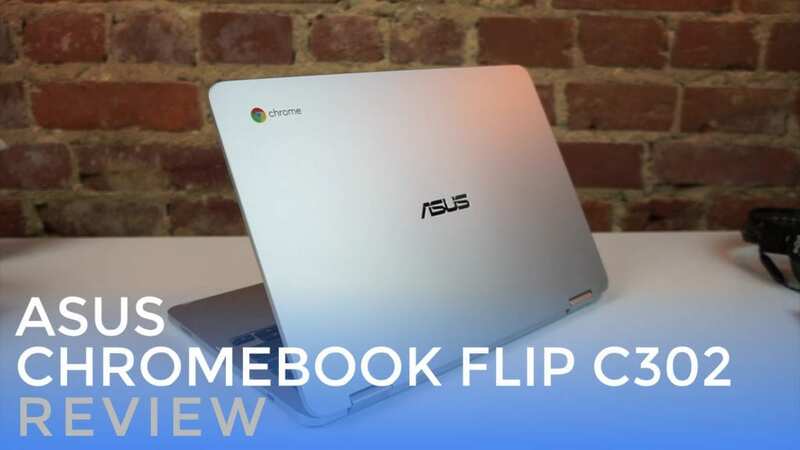 There are few Chromebooks that I’ve been as excited about as the ASUS Chromebook Flip C302. As we’ve tracked this device since its inception, holding the physical incarnation is more rewarding than I imagined. After tracking features and specs for 6 months, the anticipation was peaked in November as the FCC and select retailers began leaking pics and select specs of the device we’d come to know only as ‘Cave’. The next month or so was grueling, not knowing exactly when we’d finally get our hands on this one, but that time is over. CES has come and gone, and we are now left with not one, but two devices that are more compelling than any other Chromebook ever made. While the debate between the ASUS Chromebook Flip and the Samsung Chromebook Plus/Pro is just heating up, it is time for us to give our impressions of ASUS’ fantastic entry into the 2017 Chromebook fray. You will see a pattern throughout this review. This Chromebook excels at almost everything. Design is a high point, here. Apart from a few other examples like the Pixel, HP 13 G1 and Acer 14, this device stands out as a quality slab of aluminum. If you’ve handled a newer Macbook Pro, you have an idea of what we are dealing with. Soft-touch aluminum, rounded corners, and straight, boxy sides all come together to make a slim, attractive design. At around 2.5 pounds, it is also supremely portable in the 12.5″ setup. The hinge is firm and bends around 360-degrees to go into all the standard modes we’ve all become used to. This one does so without much wobble at all in the hinge and has a satisfying magnetic clasp that holds the screen to the body when in tablet mode. Firm, light, thin and attractive. ASUS couldn’t have done this better. While Apple is taking most of the heat for ditching standard USB ports, we are beginning to see more Chromebooks go this route as well. This and Samsung’s latest offering both ditch standard ports in favor of USB-C, and I can’t really complain. The truth is, it has to happen eventually. USB-C gives us slimmer devices and single-access ports that do everything. On the ASUS Flip, we have one USB-C on each side, microSD slot, and a headphone/mic jack. With the addition of side-firing speaker ports, volume rocker and the power button, that is all we have to look at here. The bottom is solid with a few screws and feet. The Core M chips don’t need fans, so there are no ports here for fans. I keep a USB-C to HDMI adapter in my bag if I need it, but as you can see in this video, docking ports work perfectly with Chromebooks, so a single USB-C port does everything you need with a simple dock. The days are coming when we won’t need any adapters and I am all for it. It is time to march forward with USB-C.
Another fantastic benefit is having a USB-C charger. With this one power source, I can charge both my Chromebook and phone very quickly. It was insanely helpful while we were at CES. I was hesitant when the initial specs leaked out and this device was equipped with a 1080p screen. I’ve talked a lot about 1080p screens, but with the scaling options available at the 1536×864 resolution (which this comes out of the box set to), I can say that 1080p screens are alright with me. This screen, with its 300 nits of brightness, wide viewing angles, IPS classification, and punchy colors is a pleasure. No angle is wrong. The items on screen scale perfectly for the 12.5″ diagonal measure and make everything super-simple to work with. With that scaling we also see a bit more crispness to fonts and icons as well, leaving every person who has touched this device to comment on how good the screen is. Additionally, the win with 1080p is performance. Versus the Samsung at 2400×1600, the 1920×1080 resolution on the ASUS presents the OS with far fewer pixels to render all the time. This increases performance and makes everything move faster across the board. I do enjoy 3:2 displays like the Pixel and upcoming Samsung Chromebook Plus, but the trade-off in performance has to be factored in. Comparing similar internals, the ASUS will win in everyday speed every time because of this. But, for that win, the ASUS takes a hit when we talk about tablet mode. With Android Apps coming in a few weeks, that is something we need to consider. 16:9 screens are simply awkward in tablet mode. Too wide in landscape and too narrow in portrait. There’s no fixing that, but if the convertible stuff is just cream on top for you as a user, this is a non-issue. The tent and presentation modes are still helpful and work well with this device. I just couldn’t get tablet mode to feel comfortable. As I said, the knocks I have with this device are small. Again, this is a huge win for ASUS. Starting with the keyboard, I can say it is my favorite so far. I’m no afficianato, but I don’t recall a keyboard I’ve enjoyed this much since the Pixel LS. Travel is great, sound is satisfying, and the backlight is 6 stages of fantastic. The trackpad, while I can’t verify its material, is smooth and resoponsive. Oils don’t build up quickly and the size is perfect. The click mechanism on the 3 units I’ve had time with are all perfect. Great travel and click without any odd or loose parts. It only adds to the overall quality feel of this Chromebook. The only trackpad I’ve used that is as good is the Pixel. With a Pentium, Core m3 and Core m7 slated to arrive, there are differing versions that will be available. Right now, the one that is available is the Core m3 with 4GB of RAM and 64GB of storage. This all comes in at $499. For whatever reason, the Pentium version is only being sold at Best Buy for the same $499 with only 32GB of storage. There’s no way that purchase makes any sense right now. With the m3 and 4GB of RAM, this thing flies. No slowdowns and no lag. It is a little beast. We’ll likely only see the 8GB version paired up with the m7 processor, but there may end up being an m3/8GB variant down the road. For now, I don’t see the need for 99% of users. Battery life has been fantastic, clocking around 10 hours on the Pentium model and around 8 on the m3 version. This is all with screen brightness around 75%. Android apps have run well across the board (in the Beta channel) and I’m not seeing any issues with the Intel processor in this regards. Speed is clearly no issue here, either. What I am sure of is ASUS has crafted a Chromebook that exceeds every expectation I have. Supreme build, input methods, screen, portability, speed, price and aesthetics all combine to make this an absolutely compelling package. If I’m honest, it has shocked me a bit. I expected to like it, but I didn’t expect it to be so good. I cannot recommend this device enough. Sure, one looming device could cause you to wobble a bit on a decision to buy one, but I can confidently say that if you do buy this, you will love it. Unless a stylus or 3:2 screen is a deal-breaker for you, get this Chromebook.